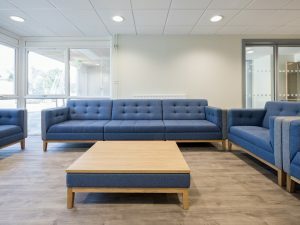 Barry Fire Station, near Cardiff, recently underwent an interior refurbishment that has transformed the space and improved wellbeing for all who use it. 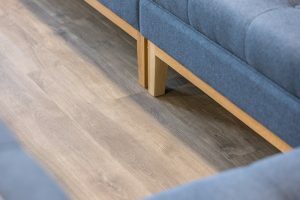 It was one of the first sites in the UK to use new Altro Ensemble modular flooring – a stylish solution that has delivered on comfort and sound reduction too. Mike Davies, Building & Maintenance Coordinator, Property Services, South Wales Fire and Rescue Service, said: “This is one of the largest stations in South Wales, and the refurbishment brought together both South Wales Fire Service and the Welsh Ambulance Service Trust to provide closer working relationships and improve safety for our local communities. The old site has started to become run down and dated, and we wanted to create a modern, clean and professional environment where the fire crews could relax and feel at home when they were not out attending incidents. Altro Ensemble modular flooring system is the next generation of luxury vinyl tiles. From colour blocking to geometric patterns, with a range of plank and tile sizes and textures, Altro Ensemble gives design freedom to create luxurious floors for commercial interior spaces. With 57 options to mix and match, the modular flooring system has natural wood and stone designs and bloc colours too. 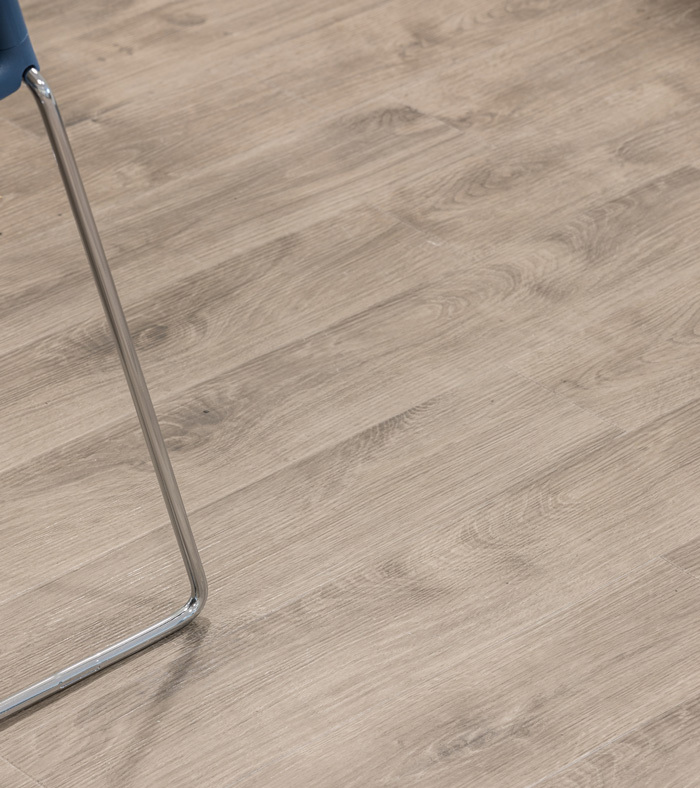 Altro Ensemble is 2.6mm thick with a 0.55mm wear layer, 15dB sound reduction qualities and added comfort underfoot, with minimal residual indentation and excellent durability. A truly exceptional material, it combines these features with unique flexibility and is lightweight, making it easy to transport, cut and handle for installation. Mike Davies continues: “The product is both stylish and practical, with a superb selection of colours and finishes, excellent value for money and a great new alternative to the industrial-style flooring we have used in the past. “We chose a lovely wood-effect finish that complemented the overall colour scheme of the new interior, and the installation was quick and finished on time. We now have a wonderful new fire station that’s a massive improvement on what we had before. The Altro Ensemble flooring helps to create a modern, warm feel and the whole place is very homely and professional. “The product is also thick with a good wear layer, which means it’s very comfortable to walk on, furniture doesn’t leave indentations, and it’s very durable. Plus is has great sound reduction. Both these factors help to create a more comfortable, quieter environment for the fire crews. They are thrilled with their new space, and morale and overall wellbeing have been given a real boost. 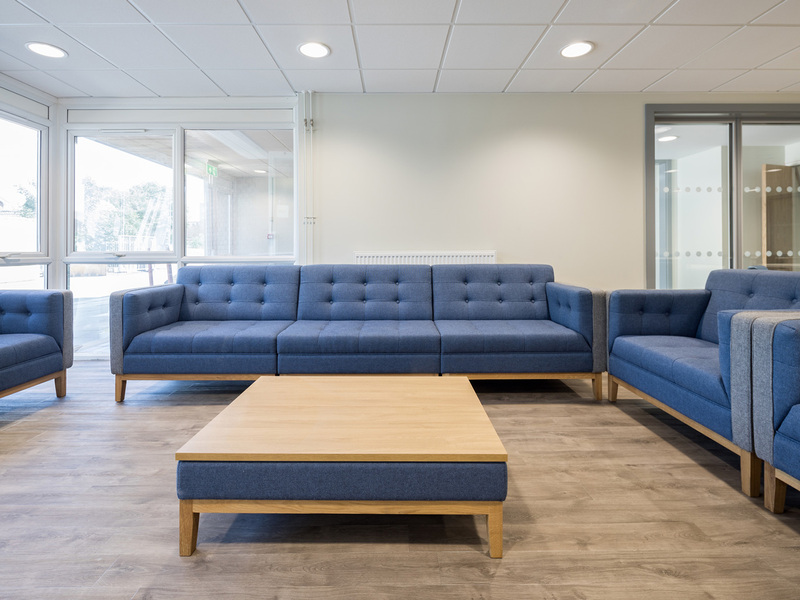 The flooring was installed at Barry Fire Station by Floor Furnishings, in Cardiff on behalf of the Principal Contractor Office Visions. Director Nick Jefferies said: “Altro Ensemble was very easy to fit. It was flexible, and went down quickly with a bonded adhesive. In developing the new Altro Ensemble collection, the Altro design team has taken inspiration from the Bauhaus design school’s philosophy of bridging the gap between form and function to engineer products that meet the customers’ biggest challenges, such as the need for cleanability, sustainability and flexibility. The result is a premium modular flooring system that offers variety and design freedom to create sophisticated, contemporary and striking designs. The post New Altro Ensemble modular flooring helps transform fire station appeared first on FMJ.